The one thing I always seem to have trouble with when it comes to interior design is bookcases. I currently have two big cases in my entryway and one in my office. These shelves always end up being clutter magnets. It seems like the right place to just throw any book, magazine, or video games with out any effort to make it look neat. This is one project I want to work on in the summer, to really style the bookcases in the entryway. 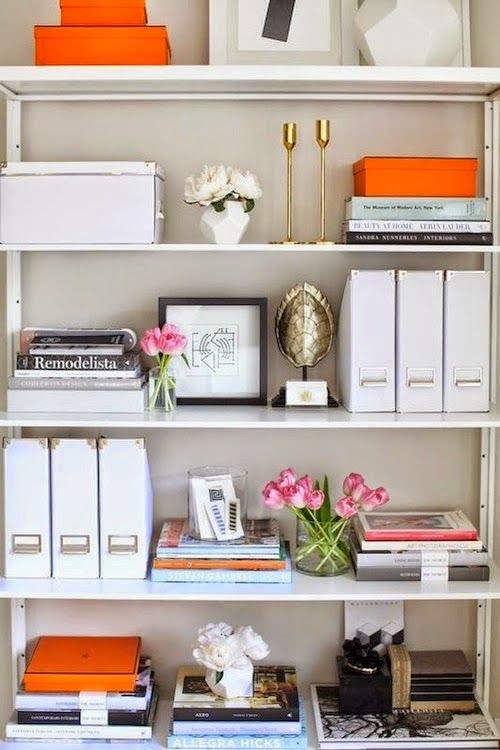 I always love how in magazines and decor sites everything is neat and organized and not just a jumbled mess of books. The one main thing I have been noticing when observing these photos is how everything is kinda mixed. Its just not books, you also have meaningful photos and china on display as well. The biggest rule of thumb is contrast, as you look at this photo you can plainly see the contrast of black and gold. As well in other photos you have colour blocking with the different books you may have. 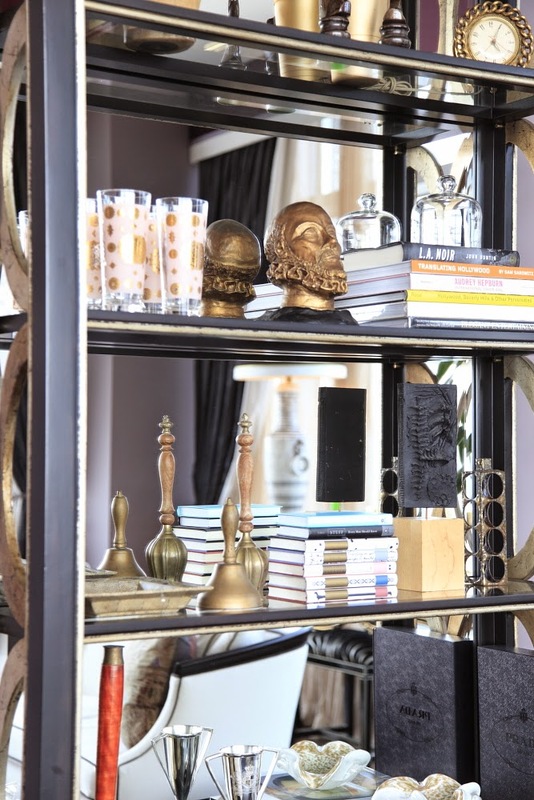 Bookcases are just not to store books any more, they are now being used to showcase pieces. I love how these people showcased there collections of globes on the tops of the bookcase. As the summer goes on my plan is to pick up a few odds and ends that would be great piece to show off! 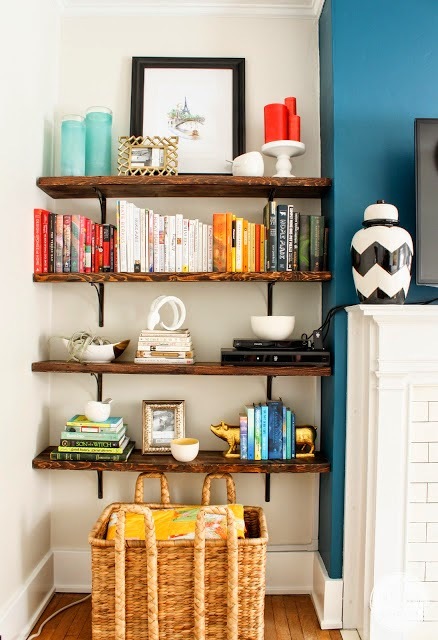 So whats your favourite way to style a bookcase or shelves in your home? I love playing with bookcases! All of my books and knickknacks are still in the states (I'm in Germany)! I'm not ready to move back to the states, but when I do, I'm going to go crazy decorating bookshelves! The greatest thing about travelling is that you can get new things to display from your trips as well! Hope you are enjoying Germany! 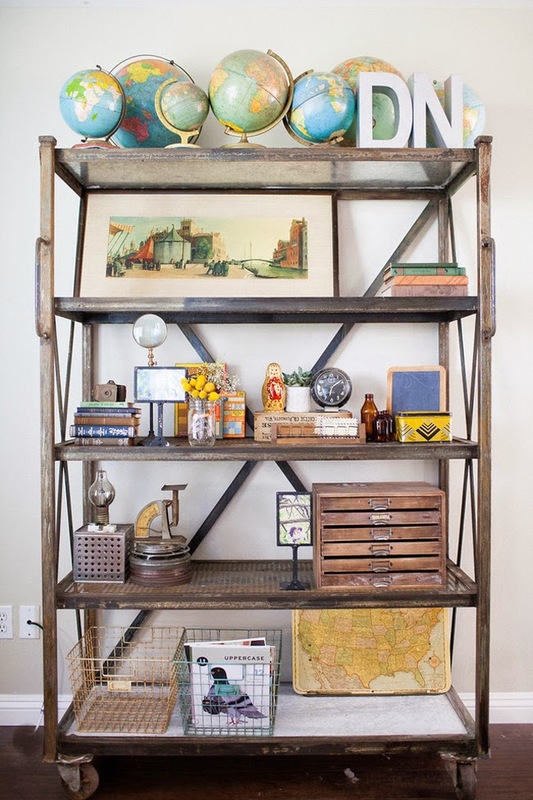 I love the industrial feel of the bookcase with metal and the globes.